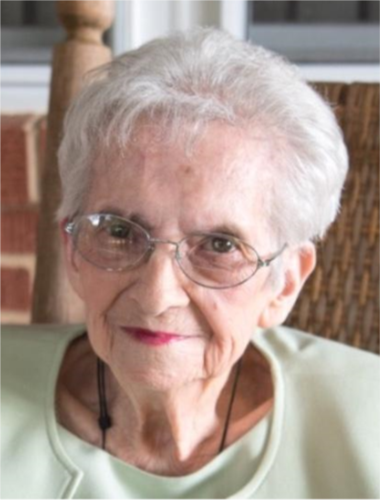 Ether Hayes Asbill, 86, of Seagrove, died Saturday, February 2, 2019 at Randolph Health in Asheboro. Funeral Services, 3:00 PM, Tuesday, February 5, 2019, at Antioch Christian Church, Seagrove. Officiating, Rev. Bryan Maness, Rev. Gerald Ward, Rev. Brian Faircloth. Ether was a native of Randolph County, formerly employed with Becky's of Asheboro, and a member of Antioch Christian Church. She was a dedicated farmer's wife who loved her family and friends. She enjoyed her flowers and garden vegetables that she would share with her neighbor's. Ether always made sure to have a home cooked meal for her family. She was known for her beautiful alto voice when she sang in the choir at church and with the Country Church Quartet. She enjoyed life to the fullest, and got pleasure from gathering eggs along with keeping her grandchildren and other children within the community. Her one desire over the last few years was to live long enough to care for her husband Wade, who had dementia. She did so with a loving heart. She will be missed by all who knew her. Heaven's choir gained a beautiful voice. She was preceded in death by her husband, Wade Eugene Asbill, her infant, Lorie Asbill, parents Andrew and Alma Coley Hayes, brothers, Henry Hayes, Floyd Hayes, Ted Hayes, C.M. Hayes, sister, Orene Stout, step-grandchildren, Randy Cain, Toby Cain. Survivors: daughters, Cindy Asbill Loggains, and husband, Gary, Susan Asbill Richardson, and husband, Danny, both of Seagrove , sons, Ricky Asbill, and wife, Laura, of Asheboro, Craig Asbill, and wife, Lori, of Seagrove, brother, Leroy Hayes, of Rockingham, grandchildren, Andy Loggains, Eric Loggains, Leslie West, Brad Richardson, Celeste Asbill Humphrey, Seth Asbill, Samuel Asbill, three step-grandchildren, Tony Cain, John Cain, Betsy Cain, great-grandchildren, Aiden Loggains, Maggie Loggains, Landon Cox, Brandon Richardson, Mason West, Bentlee Marley, Layla Humphrey, several step-great grandchildren, one step-great great grandchild. Visitation, 2:00 PM to 3:00 PM, Tuesday, Antioch Christian Church, Seagrove. Memorials may be made to Heartfelt Ministries, 5365 Antioch Ch. Rd., Seagrove, NC, 27341.